The Arab-Israeli conflict has been one of the most protracted and contentious disputes in modern history. This wide-ranging textbook examines the diplomatic and historical setting within which the conflict developed, from both the Israeli and Palestinian perspectives, and gives a comprehensive overview of the peace process. The new edition includes a fully revised and updated introduction and a wider selection of documents up to the first year of the Trump presidency. incorporates a wide range of pedagogical aids: original documents, maps and boxed sections. 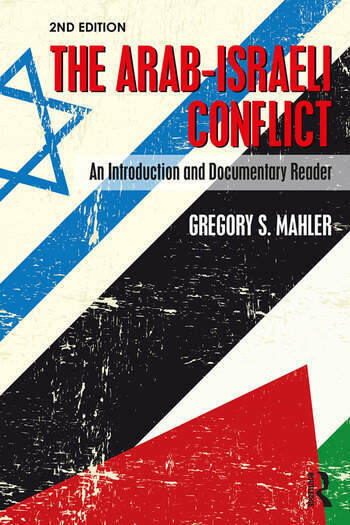 This important textbook is an essential aid for courses on the Arab-Israeli conflict and the Middle East peace process, and will be an invaluable reference tool for all students of political science, Middle East studies and history. Gregory S. Mahler is Academic Dean Emeritus and Research Professor of Politics at Earlham College. He received his B.A. degree from Oberlin College and his M.A. and Ph.D. degrees from Duke University. He has authored or edited over thirty books in the areas of comparative politics and Israeli and Middle Eastern Politics, and his academic interests include political institutions and democratic government.